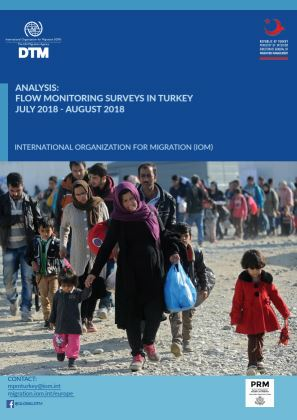 According to the latest available figures from the Turkish Directorate General for Migration Management (DGMM) there are estimated more than 4 million foreign nationals present in Turkey. 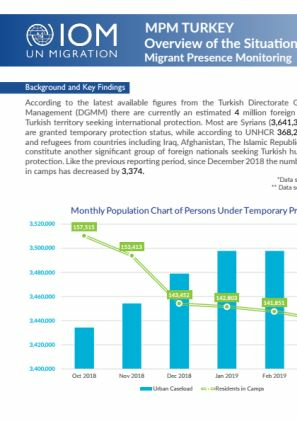 Most of them are Syrian nationals under Temporary Protection status (3,641,344). 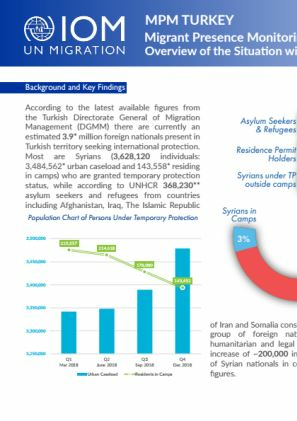 Another large group are foreign nationals registered as refugees and asylum seekers (368,230) mainly coming from Afghanistan, the Islamic Republic of Iran, Iraq, Somalia and other countries. 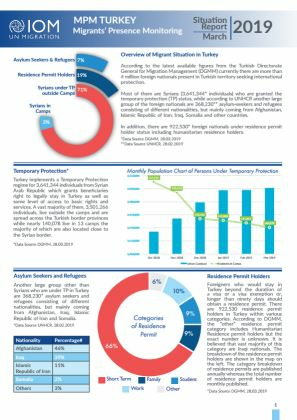 According to Turkish Armed Forces (TAF), in March 2019, there were a total of 17,765 irregular border crossings, 14,949 of which have been registered on the Turkish border with Syrian Arab Republic.